One hundred years ago: here comes the RMS Olympic, sailing into the harbor at right. The lead ship in the White Star line, the Olympic would be cruising the Atlantic several months later, on the morning of April 15, 1912, when its sister ship the Titanic sent out a distress call, having hit an iceberg several hours previous. 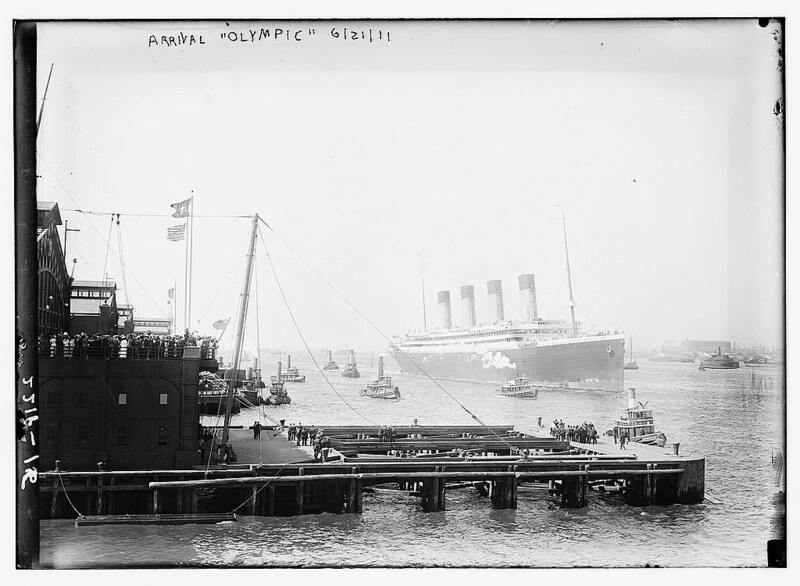 The Olympic was, unfortunately, too far to come to its rescue. 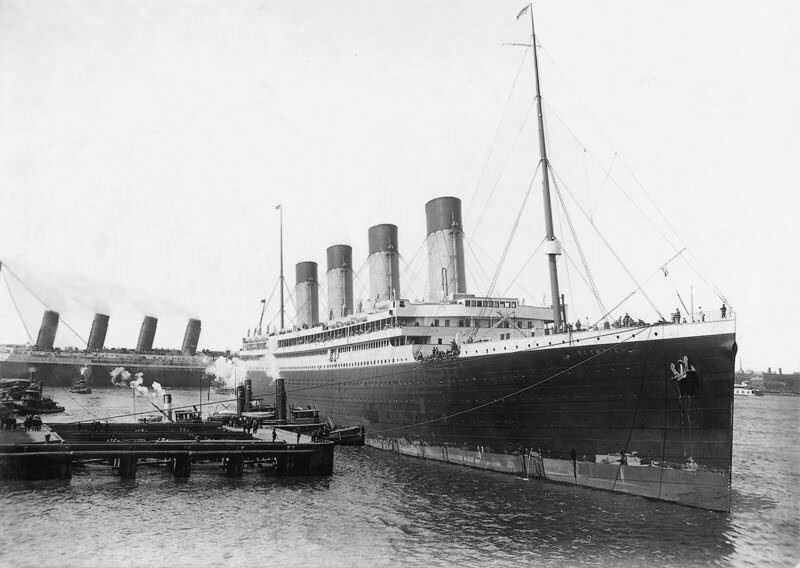 In the aftermath, the Olympic crew went on strike, fearful that their vessel was ill-equipted for a similar disaster. 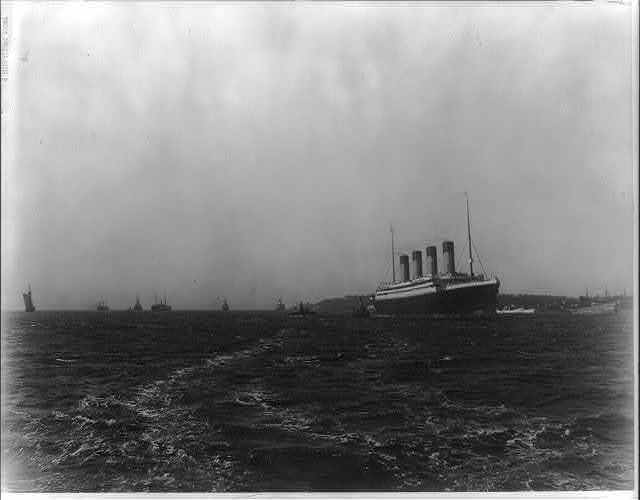 Notice at least nine or ten other boats in the distance, many of them (and most likely, the Olympic as well) containing newcomers on their way to Ellis Island. Pics courtesy the Library of Congress.